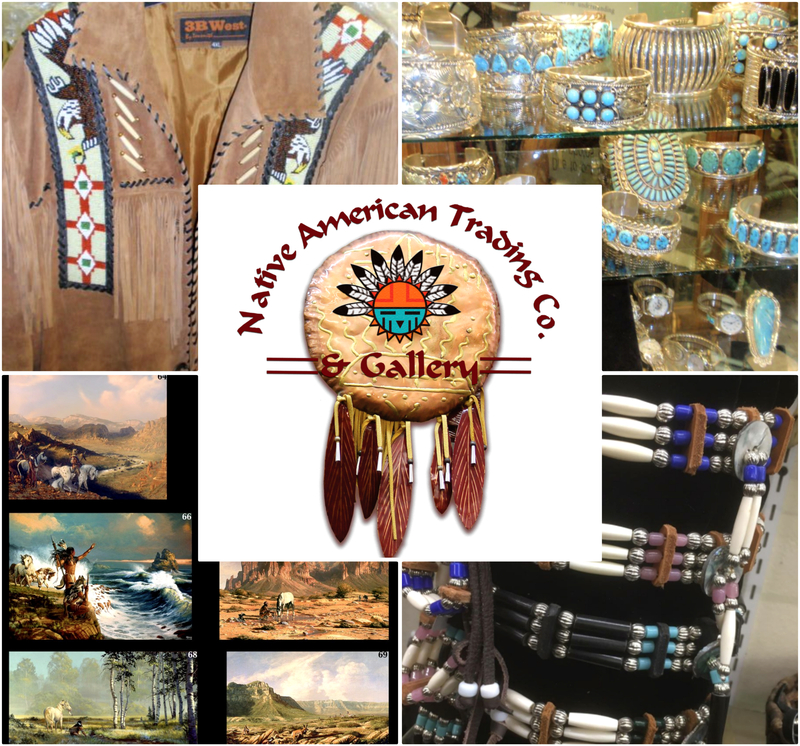 We feature a wide variety of authentic hand crafted items from such cultures as: Navajo, Zuni, Hopi, Cherokee, Sioux, Mohawk, Ojibwa, Acoma, Santa Clara, Jemez, Athabascan, and more! Life styles and skills are reflected in jewelry, ivory, and iron and wood to name a few. Our gallery features Bev Doolittle, Tim Cox, Herman Adams, Howard Terpning, JD Challenger, Judy Larson and more. This is a must see experience. Open all year, 7 days a week. Mark Hopkins Original Bronze Sculptures, Mill Creek Sculptures, Sand Paintings, Pendleton Blankets, Authentic Headdresses, Minnetonka Mocs, T-shirts, Jewelry, Tapes, CDS, flutes, Nuwati Herbals, to put and keep you in balance.